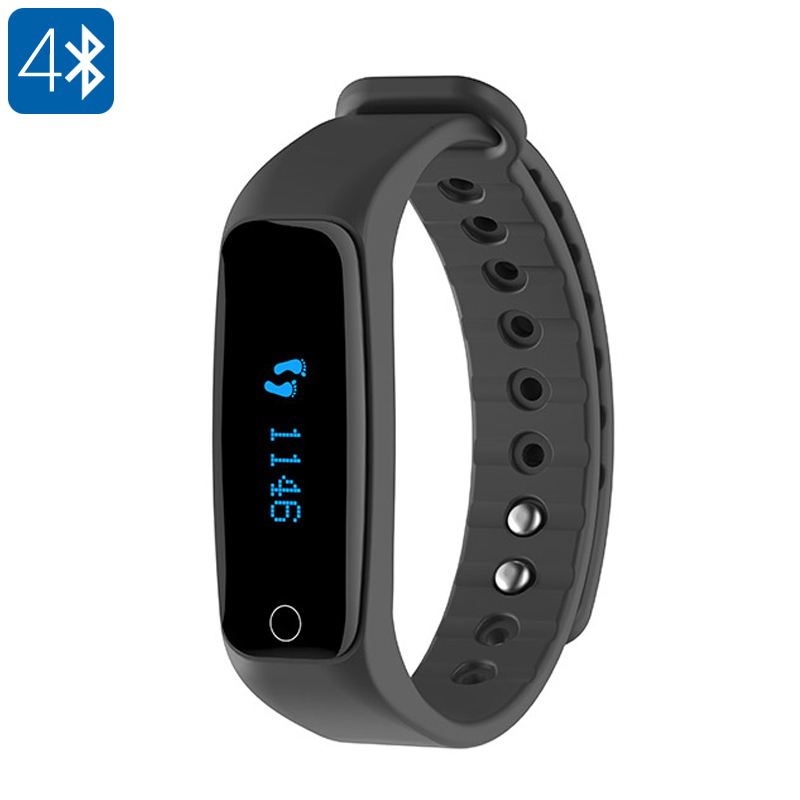 Successfully Added Teclast H10 Bluetooth Wristband - 0.86-Inch OLED Display, Weatherproof, Call And Message Reminder, Calorie Counter, Pedometer to your Shopping Cart. Keep track of your fitness level and never miss an important call, message, or social media update again with the Teclast H10 Bluetooth wristband. This little smart accessory can be easily synced with your Android smartphone after which it will keep you constantly updated about incoming phone calls, messages, and notifications. From now on you’ll always stay connected and are guaranteed to never miss out on an important happening again. With its stylish and comfortable to wear silicone strap, this sports wristband is a great fit for any occasion. Its 0.86-Inch OLED display can be detached from the wristband, allowing you to conveniently recharge it at any given moment. Besides keeping you up to date on all your incoming messages, notifications, and phone calls – this stylish sports wristband furthermore comes packed with an abundance of health features that allow you to efficiently work towards your future fitness goals. An accurate calorie counter keeps track of your exercise throughout the day and informs you about the total amount of energy burned. Additionally, the Teclast H10 Bluetooth wristband furthermore features a distance recorder and pedometer that keep constant track of all steps you take throughout the day and distance covered. With all this information at hand, you’ll be able to accurately plan your upcoming exercise sessions to make sure that your future goals can be achieved. Simply sync the wristband to your Android phone, download the Tsports mobile application, and you’ll be all set to enjoy all the health and sports features offered by this remarkable fitness gadget. Packing a sophisticated 55mAh battery, the Teclast H10 provides you with up to 30 days of standby time, assuring that you won’t have to worry about running out of juice during your upcoming workout sessions. With its splash resistant design, it allows you to head out and exercise in any weather condition as snow, ice, or rain won’t stop this little beauty from coaching you. Besides its abundance of fitness features, this sports watch furthermore features a sleep monitor through which it makes sure you get enough rest in between your upcoming workouts – stimulating fast recovery and rapid fitness improvement. The Teclast H10 Bluetooth wristband comes with a 12 months warranty, brought to you by the leader in electronic devices as well as wholesale electronic gadgets..
Arabic: - سوار بلوتوث - Chinese Simplified: - 蓝牙腕带 - Czech: - Bluetooth náramek - Danish: - Bluetooth armbånd - Dutch: - Bluetooth Armband - French: - Bracelet Bluetooth - German: - Bluetooth-Armband - Hebrew: - צמיד Bluetooth - Hindi: - Bluetooth Wristband - Italian: - Braccialetto Bluetooth - Japanese: - ブルートゥース袖口 - Korean: - 블루투스 팔찌 - Malay: - Bluetooth Wristband - Norwegian Bokmål: - Bluetooth Wristband - Romanian: - Bluetooth Wristband - Russian: - Bluetooth браслет - Spanish: - Pulsera de Bluetooth - Thai: - สายรัดข้อมือบลูทูธ - Turkish: - Bluetooth Wristband - Vietnamese: - Dây đeo cổ tay Bluetooth.